In May 1941, Stalin was warned that the Germans were about to invade the Soviet Union. As it happens, the warning came from a man who was—how to put this fairly?—a liar and a drunkard, a philanderer and a smell-smock, a gambler and, in truth, a world-class crackpot. He was also possibly the greatest spy who ever lived, and Stalin's refusal to believe him lasted only about a month. On June 22, the Nazis poured 14 panzer divisions across the Russian border. The spy's name was Richard Sorge, and he is the subject of a rollicking new book by Owen Matthews. A British journalist turned historian, Matthews covered the Bosnian war, served as Newsweek‘s bureau chief in Moscow and Istanbul, and reported from Ukraine. Along the way, he used his knowledge of the Russian language, gained from his family, to develop a sideline in writing books drawn from Russian history. In 2008, he published Stalin's Children, a memoir of his relatives in Russia. In 2013, he added Glorious Misadventures, an account of Nikolai Rezanov's 18th-century attempts to establish Russian colonies in North America. And now he's written An Impeccable Spy, the tale of Richard Sorge. It's an amazing story, even if the title is more an ironic gesture toward the language tics of John le Carré's spy fiction than a description of Sorge's often entirely peccable spycraft. Born in 1895 to a bourgeois German family, Sorge was a young nationalist who enlisted in 1914. His experiences during the First World War quickly disillusioned him, however. Given a medical discharge after shrapnel left him with a permanent limp, he completed his doctorate in political science in 1919 and joined the Communist party. Emigrating to Moscow, Sorge used his gift for languages to find work with the Comintern in Moscow and was soon recruited by the Soviets for spy work. Given cover as a journalist, he traveled around Europe—doing what became his life's vocation: seducing women, learning secrets, and reporting on local conditions. In 1929, having transferred from the Comintern to army intelligence, he was sent back to Germany with instructions to spy on the Nazis while working as a reporter for a rural newspaper. It's a marker of the man's skill at posing as a Nazi that, by 1930, he was able to undertake a journey to the Far East as a stringer for Frankfurter Zeitung and editor of a German news service. Before taking on an assignment in Japan, Sorge returned briefly to Germany in 1933 to reestablish his credentials as a Nazi (successfully enough that Goebbels came to his farewell dinner). And it was in Japan that he blossomed into a great spy. For the next eight years, he managed to convince the Germans that he was working for them, the Japanese that he was an important Nazi to whom secrets could be revealed, and the Soviets that he was their man. The Soviets proved the hardest to convince. Sorge built a ring of agents with access to the Japanese prime minister. He became close friends with the German ambassador, who named him an intelligence officer and gave him the run of the German embassy (even though Sorge had seduced the man’s wife). He reported to Moscow on the 1936 pact that banned the Comintern in Germany and Japan, and the formation of the Axis alliance. He provided information that Japan would not attack Russia through the shared border of Manchuria. And he warned about the German invasion in 1941. Along the way, he boozed, womanized, boasted, gambled, and cut a character in Tokyo so flamboyant that few suspected him of being anything more than a wastrel. In 1938, for example, he drunkenly smashed his motorcycle into a wall—and was taken to the hospital, where the authorities somehow failed to find the stolen documents Sorge was casually carrying in his pockets. Eventually, the Japanese secret police—the Kempeitai—homed in on him through his radio transmissions, and he was arrested in the fall of 1941. Tortured by the Kempeitai, he confessed to being a Soviet spy. Moscow refused to acknowledge him, and he was hanged in Sugamo Prison on November 7, 1944. Even though, according to Matthews's account, news of Stalin's purges had weakened Sorge's commitment to communism, his last words were "The Red Army! The International Communist Party! The Soviet Communist Party!" In repayment for his work—the extraordinary achievement of a spy given nearly complete access to an enemy embassy in the capital of that enemy’s major ally—the Soviets convicted his Russian wife Katya of espionage, on the grounds that she was married to a German. The publisher has been promoting An Impeccable Spy by playing up Matthews's original research in Soviet archives, uncovering material not reported before. And there's no doubt that An Impeccable Spy contains many new facts about Sorge, especially about his wives and his bosses in the "Fourth Department," the Red Army's intelligence division. But what remains less clear is how significant that new material actually proves, for Sorge's tale has been well known for a long time. The nutty American intelligence officer Charles Willoughby published a 1952 book called The Shanghai Conspiracy that used captured Japanese files to out Sorge as a spy (and claim, bizarrely, that the continued existence of Sorge's spy ring had led to the loss of China to the Maoists after the Second World War). Various novels and nonfiction accounts in Germany through the 1950s and early 1960s laid out Sorge's career, typically aiming at presenting him as a "good German" who had resisted the Nazis. In 1964, the Soviets got in on the story, rehabilitating Sorge as a hero of the KGB (even though he worked for what would become the GRU, the KGB's rival). To this older information, Matthews adds material from the Fourth Department's files and a clearer account of why the Soviets seem to have believed Sorge about Japan's lack of plans to attack Russia, while disbelieving Sorge about Germany's plans. And fair enough. But what Owen Matthews really adds in An Impeccable Spy is a telling of Sorge's life in a fast and fun prose. That is, after all, what one wants in a story about a man who was both a member of the Communist party in Russia and the Nazi party in Germany. Sorge was, Matthews writes, "a raging intellectual snob," with a German doctorate, who somehow took his ideology in the name of the working class—and his psychological milieu in "the casinos, whorehouses, and dancehalls of pre-war Shanghai and Tokyo." When the SS grew suspicious of Sorge, they sent a man named Josef Albert Meisinger to investigate. Although Meisinger had the nickname "the Butcher of Warsaw" (and pause for a moment to consider what it takes for the SS to label someone a butcher), by the time Sorge was done carousing with the visiting German, Meisinger gave his masters in Berlin a glowing account of a faithful Nazi who was the real intellect behind the German ambassador. 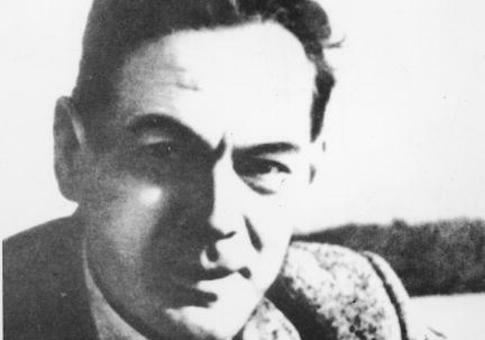 Owen Matthews sees clearly enough that Richard Sorge was "a bad man who became a great spy." But it's through the strange mixture of luck, drunken stumbling, sharp calculation, and sheer bravado that the bad man became a great spy, and that mixture is exactly what makes An Impeccable Spy a tremendous read.